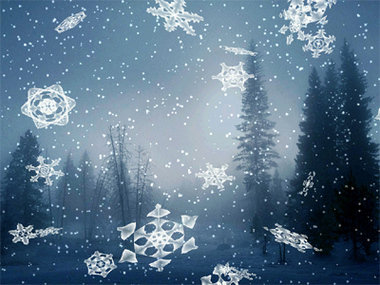 The Snowfall3D Screensaver displays randomly generated 3D snowflakes and animates them falling and spinning to the ground in front of your choice of picture background. 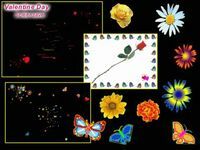 Background pictures can be jpg, bmp or gif. You can also choose to use a custom gradient fill background over top of the picture or on its own. Add animated ghosted text, mp3 or wav audio tracks that loop continuously, customized snowflake patterns, background realistic snow and you've got a beautiful winter screensaver that's great for Christmas time or anytime. Snowfall Screensaver requires Directx8.1 and up, as well as a minimum 300 mhz pentium computer with 16mg video card.